It’s that time of year again when the manufacturers unveil their new product offerings for the year. Here are the highlights so far. How about a 1/32 scale Porsche 904? Looking at these two new cars reminds us of just how right Monogram got the same car 50 years ago. But there’s a bit of bad news. 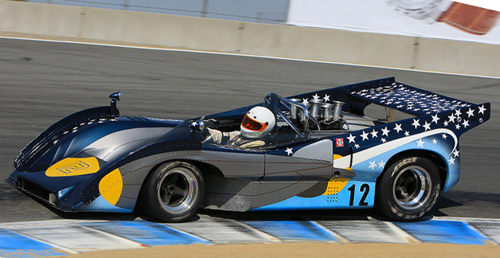 According to published information the 904s will be available only in race sets this year. Bummer. We will investigate further to see if that’s really true. Here’s another livery for the popular Carrera 1/24 scale Porsche 917. And the 1/24 scale Cheetah. Plus a 1/24 scale Ferrari 250 GTO. And in yellow. 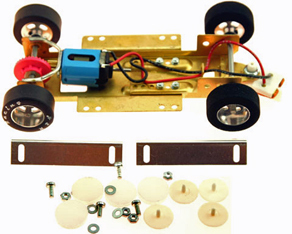 You just knew they would make something for their Porsche 917s to race with. If you like vintage touring cars on steroids this Alfa should please you. We would prefer it without the wing. Carrera is commemorating a vac-body car from decades ago with a kandy-kolor livery on its 1/32 scale Cobra. It may seem a bit garish to some but we have seen 1:1 race cars painted in color schemes like this over the years and they can be quite attractive. Just add numbers to the doors and a sponsor decal or three. 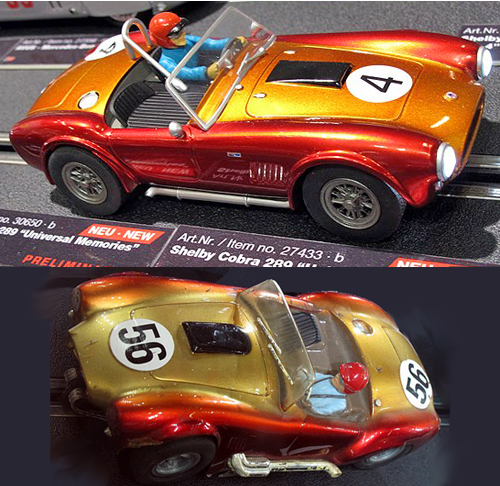 If you prefer something more traditional Carrera is also offering this Cobra livery in 1/32 scale. Or this new 1/32 scale Cheetah livery. This new Ferrari is a 1/43 scale car. Is what they should look like. 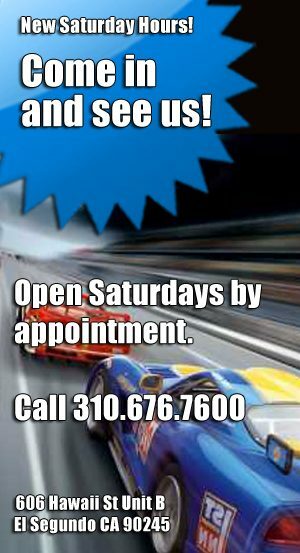 Come on, Carrera, get it right! Flyslot is not showing anything really new, but here are two interesting cars from their display. This new Kremer CK5, along with an all-black one, is making its way onto dealers’ shelves as this is being written. 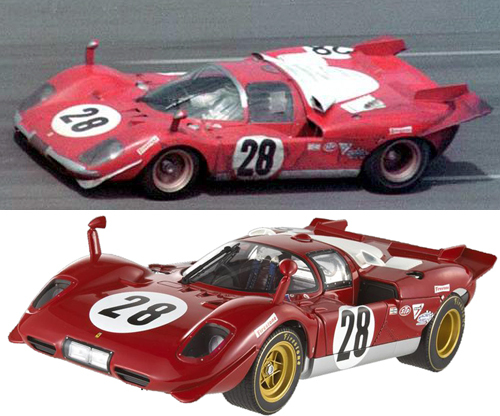 Flyslot has been showing this Ferrari 512BB prototype for some time now, but we expect it to be in production fairly soon. 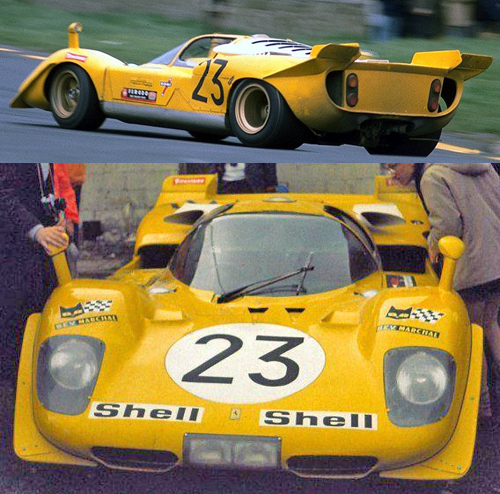 Slot It’s new McLaren M8D is no longer a secret, but they are showing it in two liveries at the show. The “Led Zeppelin” car from Europe’s Interserie. Here’s a shot of the full-sized car in action. In Jagermeister colors. Is there any kind of European car Jagermeister hasn’t sponsored? 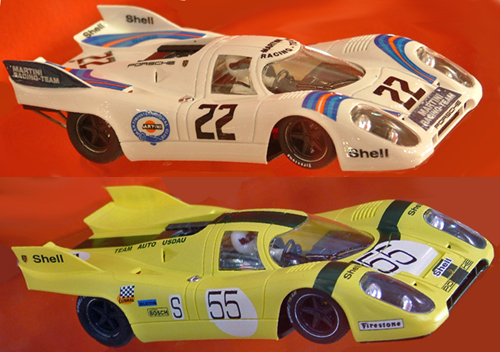 NSR is displaying these two Porsche 917s with the tail fins as used in 1971. 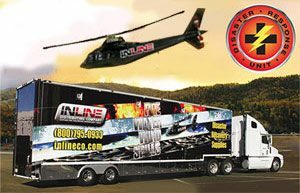 And one in 1/32 scale. And a Jagermeister Porsche 935. No, there probably isn’t any kind of European car Jagermeister hasn’t sponsored. 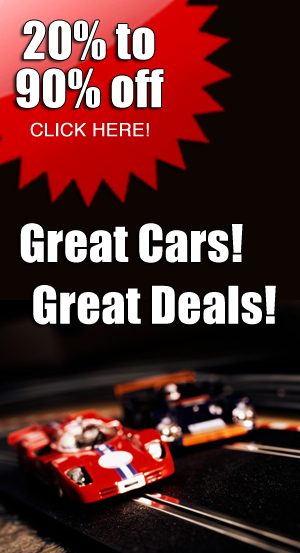 We will have all the new 2013 cars from all the manufacturers up for preorder as soon as we receive the necessary information. We want to inform our customers of the postage price increase which took effect January 27th. The US Postal Service has raised their rates across the board, and we have to follow. These rates especially affect our first class mail international services. If you have any questions about shipping costs or shipping options to your location please contact our warehouse at (310)676-7600 or shop@electricdreams.com.